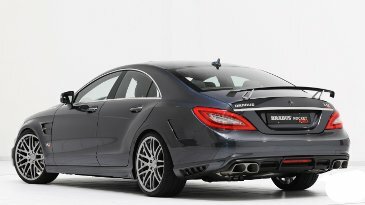 Brabus Rocket 800 will became the Fastest Sedan ever made, It seems the Germany Tuning Company Brabus will soon realize this. 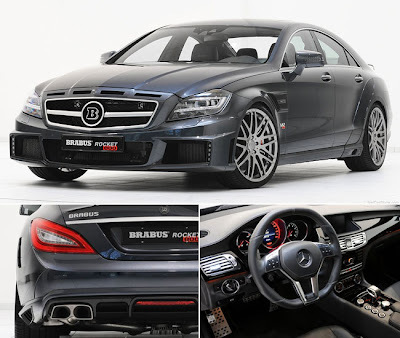 The Appearance of this beast sedan was similar to mercedes Benz CLS, but how about the specs of this 2012 Brabus Rocket 800? With that much power, the car was eventually able to run fast up to 370 km / h and became the fastest street-legal sedan in the world. It isn't as fast as the car on this list World's Fastest Car. You can buy this brabus rocket 800 for 429.000€ + VAT or Approximately $582,000. For acceleration, the Brabus Rocket claims that the 800 engine capacity increased from 5500 cc to 6300 cc is able to accelerate from 0 to 100 km/h (0-60mph) in just 3.7 seconds and reaches 200 km/h in under 10 seconds with automatic transmission 7- speed. The car Exhaust systems uses two special exhaust manifold with integrated high-performance turbochargers, and four water-to-air intercoolers. This new capability would also be supported by other factors such as suspension, brakes and aerodynamic side of the vehicle. For that, Brabus also adjust the sector. Below you can watch the Video of Brabus Rocket 800 at IAA Frankfurt motor show 2011.